The “girl child” has become a topic that conjures up visions of negative statistics about the disappearing female foetus and the abuses heaped on female children. It is high time that we identify this term with positive imagery, precisely to counteract the negative statistics and make the girl baby an object of splendour and glory. Unfortunately, the “girl child” has become a topic of intensive debate and discussion, strategic policy-making and social administration. We need to now make her a subject of interactive relationships rather than an object of analysis, because while slogans of “Beti ko bachao” and “Send your daughter to school” are needed eye-catchers on billboards and bus-stands, the little wide-eyed wonder who survives her infancy is still taken for granted, neglected and left to her own devices. We need to study her situation, but more than that, we need to set in place dynamic living conditions for her to grow up and flourish in this world. We need to understand her anxieties and doubts, her sadness and her loneliness, and envelop her in layers of love and concern. Our little girls are too often burdened with high expectations as a result of which she either slides into passive dullness or turns on her perceived persecutors like an uncoiled spring, lashing out with anger and fear. What she really needs is unconditional regard, sustained attention and warm appreciation so that she glows with energy and rides on the tides of time with courage and confidence. Only then can the girl child avoid turning into a subservient robot or a scheming minx. It is not in the nature of any child, female or male, to become a docile puppet or a simmering volcano. What the human infant require in the early years of development, is a dependable bond with mother and a unswerving commitment on the part of all caretakers , teachers, relatives and elders to nurture the little one and be consistent in care-giving, loving the girl child as a gift from the Almighty, a blessing to behold, a joy to relate to, an asset to the family, and an investment for society. This is a tall order indeed, yet not impossible to attain. It is certainly a goal that every social mission needs to put on its high priority list. The future of humanity is being shaped by the childhood of children. And the future of womankind is being shaped by the experiences of young girls today. A few days ago I watched a mother happily play with her six-month-old baby girl. They looked into each others’ eyes and cooed tunefully as though singing a happy duet. Baby girl pumped up and down with glee, smiling from ear to ear and then looking up at the sky with not a care in the world. Her mother followed every movement of her neck and watched how her toes seemed to dance with the song of the universe. A divine glow seemed to surround both of them, and through the lens of my camera I could see the love of God made visible in human form. The relationship between mother and girl child before me gave new shape to my reservoir of images regarding the female of our species. Then the child’s father came in and folded her into his arms, caressing her hands, muttering baby sounds and kissing her on the forehead. Oh that all little babies, girls and boys could get such undivided parental attention in an on-going way, galloping from stage to stage with energy and enthusiasm. I was reminded of the passage from Mark 9:36, “Then he took a little child and put it among them; and taking it in his arms, he said to them, “Whoever welcomes one such child in my name welcomes me, and whoever welcomes me welcomes not me but the one who sent me.” The smile of the Creator is surely reflected in the smile of the mother, who in welcoming the baby girl into her life, welcomes the living God into her heart. Later that week, while standing in the airport lounge in the check-in queue, I heard tingling laughter and suppressed giggles. Turning around I watched fascinated as a large woman in jeans played hide and seek with a five-year-old girl all around the wide spaces of the departure area. Their spirited dodging caught the attention of everyone around and soon others joined in the screams of delight as the two enjoyed their play with each other – all for the sheer pleasure of mutual interaction! Both were inventive in their running, back-tracking and swerving, encircling the waiting lines of passengers with the noise of a vibrant, entertaining interaction. They inspired another young mother to take her four-year-old for a ride around the group, perching her on top of the luggage trolley. Oh that all little children could get such opportunities for remaining in the carefree zone of childhood. Today’s parents are often too busy to spend time with their little girls in activities that do not require money or intelligence, activities that keep their souls united in the simple things that make children happy. Parents should let their children have continual access to them, permitting them to come close and feel cosily connected. Jesus was indignant when his disciples stopped the children from coming to him. He said, “Let the little children come to me; do not stop them; for it is to such as these that the kingdom of God belongs… And he took them up in his arms, laid his hands on them, and blessed them” Mk 10:14-16. We need to question ourselves repeatedly and ask, “Are we sufficiently caring and compassionate towards the faults and foibles of our daughters and granddaughters, our nieces and grandnieces, our girl students and girl neighbours? Above all, are we sufficiently loving towards the women who look after them and are often tired and exhausted with their responsibilities? Do we stretch out our hands to lift the burdens off the shoulders of mothers, aunts, daughter-in-laws and sisters? Do we open up arenas for the women in our communities to find the time they need to care for their girls with leisure and pleasure, so that these children are well fed and emotionally fulfilled? It is not enough to work for the survival of the female infant. We are duty bound to ensure that she has a non-toxic and supportive environment in which she is clearly shown how much she is wanted and loved, and how much she is valued for being herself. We can ensure that her childhood is not stolen from her and that she is allowed to be a child, absorbing the fountains of care that spring from her family of origin. In the bosom of her parents love she can blossom and expand, learning to walk with confidence and to co-operate wholeheartedly in community events. In this way she is imbued with respect for self, and with altruistic sensitivity for others. Parents and teachers are gradually understanding the multiple problems faced by little girls and acquiring the know-how of what to say and do to provide adequate protection to their bodies and proper guidance for their character formation, practical training in self-defence and methods to build up their intellectual and emotional capacities. The birth of a girl baby is the beginning of a long and beautiful journey for parents, siblings and relatives. The girl child needs a well-researched diet, pleasant clothing related to weather conditions, a good supply of liquids and quiet space to draw, paint, mould and create, an audience to dance and sing for, and all the interesting toys and crafts that can fire her imagination and intelligence. She needs time to learn, to have fun, to play and to be safely cuddled by her loved ones. Health and hygiene are vital factors for girl children who physical problems are sometimes misunderstood and misdiagnosed. In my work with children in recent months I have put together the following norms for the girl child. Teachers and relatives need to be aware that family members can compete with mothers and unconsciously sever the link between mother and daughter. Mother’s views and needs are to be given importance and her authority is to be respected. Touch is a vital form of expressing love and yet there is a lot of confusion as to what kind of touch and who should monitor this. Little girls are often tweaked on the cheek, crushed in a tight hug, rubbed on the head, wacked on the bottom or poked in the chest as signs of affection. However, these are actually forms of subtle abuse and parents are sometimes unaware of how friends and neighbours, even servants and drivers show attention in misguided ways. 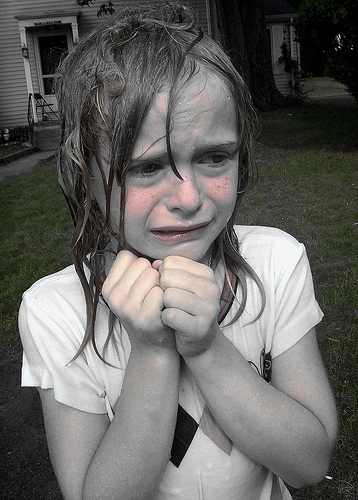 Supervision during play is important as bullying is on the rise in contemporary society. Lyrics of songs such as those of Barbie Girl are to be assiduously avoided as they train girls to lower their resistance to physical abuse and treat touch as a public license for all. Playthings should include dolls of all shapes and colours. Fair-skinned, blue-eyed dolls give girls an unnatural stereotype to emulate. Girls need to play with toy cars, trains and cranes, mechanical games and outdoor sports. Girls clothing in the markets today are usually unsuitable for wear. They expose shoulders, chest, armpits, back, legs and toes in ways that give a little girl imbibes a convoluted body image. This is especially so when boys the same age are well covered with collars, sleeves and boots. Skin exposure for little girls can lead to several personal and interpersonal problems that affect relationships and self-respect in later years. The sleeping arrangements for girls need to be supervised especially on family picnics where male cousins are present. Sleepovers at parties are becoming popular in some Indian cities, but these are often the scene of unseemly teasing and oppression. Girls need to be given continual reassurance that they belong in the family and are forever the daughters of their parents. Training in the emotional aspects of healthy parenting is essential for all parents as children are becoming more and more emotionally literate and vocal about relationships, feelings and commitments. Andhra Pradesh Mission Congress was held at Andhra Loyola College, Vijayawada from 8-10 May, 2012. Mission Congress – Prabhu Yesu Mahotsava, was the dream of the late Pope John Paul II. 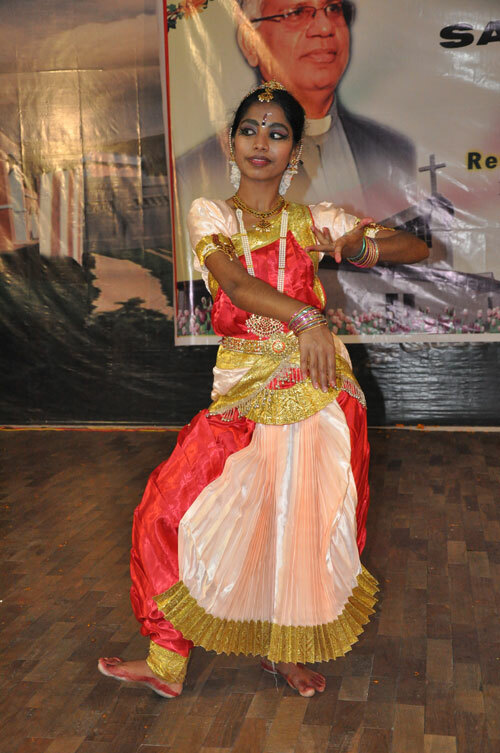 The first one was held at St. Pious Seminary, Goregaon, Mumbai in 2009. The purpose is to deepen one’s faith, to acknowledge one’s right and duty towards the mission work, and to create awareness of mission needs, providing opportunity to give public witness of Christian faith, to experience t he common bond of faith and Catholicity of the Church and to proclaim Christ to the world. All the Bishops of Andhra Pradesh, Religious Major Superiors, Priest and religious representatives (around 500) and the representatives from the laity (around 1000) gathered together to celebrate this great event. The three day Congress inaugurated by the Papal delegate Cardinal Pinacchio, was held with the theme: Let your Light shine. This was attractively illustrated with a Logo which was highlighted all over Vijayawada. The Congress focused and discussed Biblical and historical origins of faith/Church in Andhra Pradesh. There were three major witnesses from representatives of three major Missionary congregations that were instrumental in bringing light to Andhra namely: MSFS/ Mill Hill/ PIME. All this was meaningfully depicted with a dance drama lasting 2 hours. The challenges the church faces today in Andhra was profoundly analysed comparing with the existing situation in confrontation with the ideal to which we are invited by the Vatican II. Finally, it articulated and formulated the vision for the years to come. This was done for different fields of our being Church: pastoral, social and missionary and also from different points of view. The whole assembly got a chance to voice out their preoccupations, their suggestions in order to set out to build a better future with renewed zeal and fervor. My contribution to this event from the art and graphic department is the Logo which highlighted on the backdrop of the stage as well as on every printed material. Besides the Logo, posters, flyers, flex, designs for bags, caps and t-shirts and letter-heads etc., was a work of nearly six months. I was present in Vijayawada for the event and was happy to see my work displayed all over. Inspired by the reflections and the resolutions of the Congress, we are confident the Church in Andhra Pradesh will move forward. If you did,what would there be to look forward to? Sr Lucy Joseph Attickal FSP participated in the Seminar organized by the Indian Catechetical Association held in Bangalore in February, 2012. Below is the Final statement of the General Body Meeting of the ICA, which is held annually. NBCLC, Bangalore, 8-10 February 2012. Gathering at NBCLC, Bangalore for the XVI General Body Meeting of the Indian Catechetical Association (ICA), from 8-10 February 2012, we, the 76 participants [Priests, Religious and Laity consisting of 20 ICA members and 56 other participants] in the presence of the Chairman for the CCBI Commission for Catechetics, Bishop Antony Devotta, from all over India, deliberated on the theme: New Paradigms for Youth Catechesis and we believe that youth catechesis needs serious attention from all engaged in catechesis and youth ministry. Youth catechesis has to respond to the challenges arising from the currents of the contemporary youth. “It is today more difficult and tiring than ever before, because of the obstacles and difficulties of all kinds that it meets” (Catechesi Tradendae 40). The new paradigm of youth catechesis is to be done in the spirit and process of new evangelization with the intent of stressing on the missionary dimension by using the pedagogy of participation, presenting the elements of faith in the language and symbols of the youth, facilitating them to partake of the liturgical celebration and promoting small vibrant youth communities, with the focus on the cultural background of India. 2.1 Youth catechesis fulfils youth ministry; they complement each other for the formation of youth. Youth catechesis is rightly considered the essence and core of youth ministry and we believe that the new paradigms should guarantee the stable formation of youth progressively, as seen in the case of the young man in the Gospel (cf. Mt 19: 16-22), at the levels of didache (cognition), diakonia (service), koinonia (fellowship or relationships), and leiturgia (celebration of life) to experience a life of intimacy with Christ. 2.2 Understanding the culture of youth, listening to the languages of youth and appreciating the trends of youth are necessary if we are to propose a catechesis valid for contemporary youth. Youth catechesis is to be proposed in new ways which are open to the sensibilities and the problems of the youth. 2.3 Dull and dreary liturgical practices and preaching are the main complaints of many youth. Youth catechesis should facilitate the youth to take part in the liturgical celebrations more vibrantly. The richness and uniqueness of the value of the liturgical celebrations are to be presented creatively and imaginatively, in line with the official teachings of the Church, to the vibrant minds of youth. 2.4 Releasing of the Youcat is a step taken by the Church to feel with the youth. It presents the content of our faith in the language of the young. It is a book that stimulates, excites and inspires the young. Youth have to “Study this catechism with passion and perseverance…read it with a friend; from study groups and networks…” (Pope Benedict XVI; Foreword of Youcat). It is the duty of the particular churches to make apt adaptations, adequate alterations, appropriate amendments and translation in the style of Youcat depending on the cultural, socio political and economic situations. 2.5 Emergence of small youth communities in various dioceses and regions, especially due to the charismatic renewal and other movements like Jesus Youth, is a positive shift in the catechesis for the youth. The Charismatic Renewal and Jesus Youth have sparked off a new ‘zeal’, ‘expression’ and ‘methods’ in the hearts of many youth. It is the duty of the pastors to rekindle the faith of these young people. The youth catechists (priests, religious and laity) have to play an important role in the formation of youth communities by making them agents of new evangelization where their deeds, the fruits of the lived experiences of faith, communion and prayer will proclaim to everyone the message of the Gospel and the spirit already working in them. Redefine the role of diocesan youth director as a catechist. Provide opportunities and create forums for the youth to express themselves and involve in the mission of Church. Promote and create youth communities wherever possible and needed and give them guidance so that they may cooperate and net work with other groups. Provide pastoral care for the underprivileged, marginalised (dalits, tribals, illiterate, remote rural youth..etc.) and migrant youth. Promote the use of anthropological methods while catechising the young. Train the youth ministers (priests, religious and laity) in specific skills to animate youth. Accompany the youth in their faith journey by encouraging, accepting, appreciating and creating a sense of trust in them. Prepare guidelines for youth liturgy so that the youth are given ample opportunities to be catechised on liturgy. Encourage the use of conventional (dramas, role plays, mimes, puppet shows) and other modern means of communication while ministering to the youth. Ensure that the catechists (priests, religious and lay faithful) have to see that all the youth are benefitting from Youcat by encouraging them to have it and study it. Involve and encourage the participation of the lay faithful in the youth ministry. Facilitate parents to exercise their role as primary catechists. Pastors have to take catechesis as an important duty and they should accompany everyone at every stage of one’s life particularly at the time of youth when one is more vulnerable to various impacts. The focus and the goal of youth catechesis are to help the youth to have an intimate and personal relationship with Jesus. Forming the youth is very demanding and we need Divine support. As catechists we take Christ as our model and seek His blessings to carry out this mission. 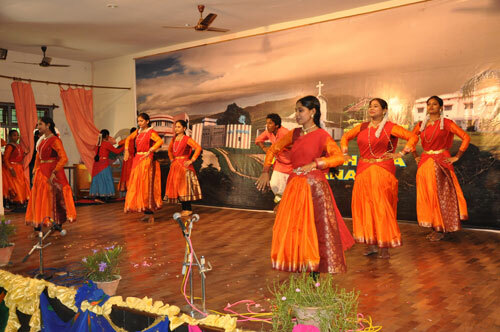 At the Nava Sadhana Kala Kendra, the college of Dance and music , the days goes with singing, dancing and also a bit of study. As I am completing my second year in the Degree course, I would like to share few things about dance. As we look back to our culture, we find that dance and music played very important role in worship. We can say it has been one of the forms of worship. Classical Dance, which I learn always explains about the longings of Jeevathma which wants to be united with Paramathma. In other words, the human soul which wants to be united with the Divine. So I feel it is a spiritual journey that each one makes in learning our own culture and art. 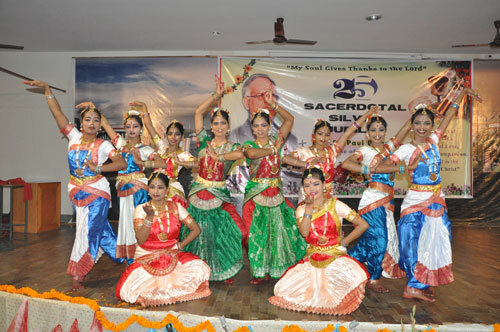 This academic year (June 2011- March 2012) was marked with Special events like the National CHAI meeting and my dance troupe’s travel to Rajasthan. I was happy to be one among them who all were selected for this troupe. Many appreciated the dance dramas which we played over there like Prodigal son, Ten Virgins, and the Last Judgement. Dear Sisters, thank you for your prayerful support. Now I am going to start my final year, so please continue to keep me in your prayers. From the heart of Pearl River Delta (Macau): When I had decided to join the convent as a young girl, my only desire was to be with Jesus and share this love of Jesus with others. Actually the only thing that attracted me to the Daughters of St Paul was our mission – that is to give Jesus to others, to share the peace and joy of belonging to Jesus with those who never heard of Him. And I was very happy as a young sister that I could visit the families, schools, parishes , offices etc, giving Jesus to people through our publications, CDs, DVDs etc. and also through my very presence. Forty years have passed very fast as a missionary in India. Then came another call from God through our General Sr Antonieta Bruscato, to go to a far away mission land, in South China and be a missionary. A call which I never expected. I was a bit afraid to say ‘ Yes’ as my physical strength was not so good but trusting in God, I said, “Yes”. Now 6 years have passed by and I continue my yes, just trusting in his mercies. I feel God is pouring out his Love on me and feel happy to witness Him to others through my poor and simple life. My recent visit to my homeland: As missionaries, we get holidays once in two years. This year my holidays in Kerala, were special to me as it was the 50th anniversary of year of my sister had joined the convent. There was a grand celebration organized at our Parish level in my town, to felicitate the Golden jubilarians, four of them, who had joined the Carmelite Sisters of Charity, in 1962. Also I was happy to take part in the wedding, celebrations of my niece. As human beings we all experience in life , both joys and sorrows. On Easter Sunday, my nephew’s son was born. All of us were happy to have a little one at home. But it was immediately diagnosed that there was a problem with the heart and since birth he has been in the ICU, more than 45 days , with the ventilator. One operation has already been carried out and we hope in the near future, the Lord will be gracious to him and heal him completely. Please do pray for him. My experience of losing Sr. Maria, my co-professed: I thank God for the gift of Sr Maria to me. I experienced her friendship in different ways. She was a person who wanted to live her life of commitment to the fullest. She was a responsible person. I knew her for the past 46 years. Whenever we met, we shared our life-experiences. In fact about two months back when I came to know that she was very sick, I called her and told her, “ Maria, wait for me, I am coming. “ And indeed she waited…. In fact I was very lucky to be with her to pray the last Rosary, to feed her the last supper, to help her to speak the last words to her brothers and sisters and put her to bed. When I kissed her good-bye, I knew it was my last kiss to her her on earth, as I was leaving for my home holiday in Kerala. I am happy an grateful to God for giving me this chance. It is true that I miss her much but at the same time, I know that her suffering ended and she will intercede for us from heaven. May she rest in peace. Bye Maria, till we meet again. At 3.00 am on May 13, 2012 the Lord called to himself our Sr Maria Kadalikattil from among us. Sr. Maria Kuriakose was the eldest in the family of six children. She was born on 31 July 1947, entered the Congregation in the community of Mumbai on 18 December 1965.As an aspirant and postulant Maria was engaged in the printing section. 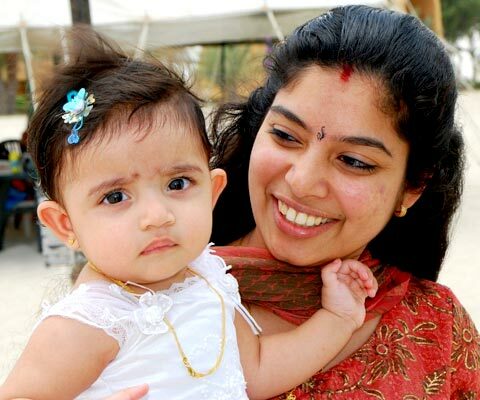 Already from that early age she showed a maturity typical of the first-born daughter of the family – a trait that was carried on till her illness made it impossible for her to be involved in rigorous activities. In the late sixties, she went through her Formation Journey enthusiastically and entered the novitiate on 8 September 1970 and concluded with the first profession on 8 September 1972. As a young professed, Sr Maria was full of life and enthusiasm to carry out the Pauline mission. Her service was all the more precious since she would drive the sisters to different areas. Soon after her first profession she was transferred to the community of New Delhi where she joyfully gave herself in the diffusion ministry. From Delhi community she was transferred to other different communities of Goa, Calcutta, Trivandrum and Mumbai carrying out the diffusion with full of Zeal and eagerness to bring the good news to the people as much as possible. Later when she was the superior of the various communities, she carried out her responsibility with dedication and love for the sisters and with tireless commitment without sparing anything for herself. She loved the Pauline apostolate and worked very hard for its fulfilment. She was gentle and understanding. This made her dear to the members of the communities where she carried out this service. For Sr. Maria everything had to go on fast track and so was the Apostolate and everything else in the community. She was a good cook and a very good driver too. It was her desire to work tirelessly to give the message of Jesus to all. Sr Maria was the person of Trust and Faith in the God who called her to Himself to serve him and she lived her life fully and carried out her mission in trust and faith. She was a loving, caring and hard working sister who spent her life at the service of the Gospel. Her self-offering to God was simple, silent and genuine. Hers was a life fully committed to accomplish the Pauline mission for which she was called and consecrated. Maria was a person of strong determination and had a great spirit of sacrifice and generosity. With a hard-working nature, she would do her utmost to complete a given job. Sr. Maria was forced to withdraw from the active apostolate due to illness. In fact Sr. Maria was suffering from diabetes mellitus for nearly 20 years. That did not deter her from carrying out her responsibilities. She was discovered having chronic kidney disease since 3 years and her life was slowed down. Initially she was having dialysis twice a week, then thrice a week and recently every alternate day. She had also hyper tension since 3 years. To be doing nothing was something impossible for Maria. But gradually Maria surrendered to the will of the Master with serenity and love. Maria always loved to give her best to the Lord and till the end she did it in spite of her illness. In fact she was always found doing little apostolic work like making envelopes, folding papers etc. and praying the Rosary. She would never trouble anybody even when she was in deep pain. In her last days Sr. Maria suffered intensely as she was on the ventilator for three weeks. Sr Maria has reached her destination where all shall be well, free from all her pain and suffering. I can say that Sr. Maria lived her Pauline vocation and mission with great love, generosity and dedication. I thank God with all of you for the beautiful life of Sr Maria who was generous, dedicated and committed in the service of the Lord and His people. So at this moment, first of all I thank God for the person of Sr. Maria and her Pauline vocation. I deeply acknowledge the valuable contribution she has rendered to our congregation, particularly for the Indian Province. Two days before Sr. Maria was called for her eternal reward, we requested a holy charismatic person to come and pray over her, he testified that the Lord took away her pain and granted her peace. I thank Fr. Michael Raj the Provincial Superior of Society of St. Paul, who presided over the Eucharist and all the concelebrants. Thanks to the Undertaker A. Rodrigues and Team for the funeral arrangements. We remember with gratitude the parents of Sr. Maria who offered their daughter generously to the Congregation. We also remember all her brothers and sisters and dear ones, especially her two brothers, her nephew and the relatives who are present with us.